- Securely store passwords, secure notes, payments, personal info, IDs, and more in your encrypted vault. - Instantly autofill forms and payment info using the mobile browser or web extension. - Replace weak passwords in seconds using our Password Generator or automatic Password Changer. - NEW! Monitor your Password Health in our new Identity Dashboard. - NEW! With Dark Web Monitoring, get instant security alerts for each email account you add in Dashlane. - NEW! Use Inbox Security Scan to scan your email inbox and find all the accounts you've created, analyze their security, and save them in Dashlane. 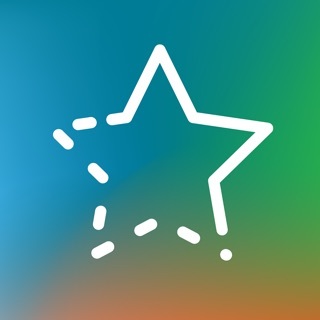 - Dashlane Free: Manage up to 50 passwords and autofill all your personal information on your iPhone or iPad, free for life. - Dashlane Premium: Manage unlimited passwords on unlimited devices, plus Dark Web Monitoring and secure VPN. - Dashlane Premium Plus (only available in the US): Get added protection with real-time credit monitoring and up to $1 million in Identity Theft Insurance. - Our patented security architecture uses AES-256 encryption, the industry's leading standard, and a zero-knowledge system to protect your passwords and personal data. - Your master password is your private key to unlocking Dashlane. No one knows it but you—not even Dashlane—and it's not stored anywhere on your device or our servers. - Dashlane requires you to log in from an approved device. Built-in two-factor authentication ensures you are you, every time you unlock Dashlane with your master password, PIN code, Touch ID, or Face ID. - PC Mag "Editors’ Choice Award"
- Webby Award "People’s Voice Best Mobile Services & Utilities App"
- Kiplinger's "Best Identity Theft Prevention Tools"
- Inc.com’s "Best for Passwords and Checkouts"
- Techlicious "The Best Security Apps"
- Dashlane Premium and Premium Plus are available as 1 year renewable subscriptions. - Payment will be charged to your iTunes account at purchase. - Auto-renewable subscriptions will be charged for renewal within 24 hours prior to the end of the initial period of subscription unless auto-renew is turned off at least 24 hours before the end of the current period. - Subscriptions may be managed and auto-renewal may be turned off by going to your Account Settings after purchase. Visit our Help Center at support.dashlane.com or reach us @Dashlane on Twitter. Access and fill your passwords directly within Safari and other apps. This app is really a benefit in todays world. It’s getting way to hard to keep all the information under control w/o a little help & this app definitely helps. Having said that there is a pretty steep learning curve with all these password manager apps, but this one is the best at helping a noob along the way. I tried 3 others before I found Dashlane & it is miles ahead of the others in terms of “user friendliness”, if you will. The PC aspect of this manager is a breeze once you get it set up & have a little time to get your head wrapped around what is going on. The mobile side of it is a real battle though, at least on IOS devices. As much difficulty as I seem to have, though pales in comparison to the other apps I tried, they were impossible to get past the mobile setup part, didn’t even get to really use them because of set up issues. The biggest thing reason for getting a manager was PC and phone communicating & keeping each other current. Dashlane has managed to do this for me w/o any need for help from support, which after the first three experiences I didn’t think would ever happen. So if you an old newbie like me, then you can’t go wrong with this app. I am a long time user of password management software, going back many years -Roboform, LastPass and now DashLane. My favorite now is DashLane because it is a good meld of super easy to use Roboform and LastPass’s modern tight securit. I don’t doubt that Roboform is quite secure, but it fell behind slightly. DashLane convinced me to move from LastPass because of such a simple idea... I use a very secure master password, so it can be hard to type correctly. LastPass hides what you type for the master password, so it’s a real test of careful typing and multiple tries to get it right. DashLane also hides the master password as you type for public security but it lets you reveal your typing if you choose, so I get it right quickly. And DashLane is near seem less compared to LastPass. The only thing I miss from LastPass is the good grouping of site passwords in its storage view. With DashLane it seems just a scramble, so I must rely on searching to find a sight’s password. Also, LastPass categorizes things like secure notes, credit cards and identification info much better than DashLane. I hope DashLane is reading this & improving that aspect. Time to give Dashlane the rating it deserves! I’ve been using Dashlane now for nearly 5 years. Over that period of time I’ve accumulated hundreds of passwords and an impressive collection of sensitive information that I never seem to have when I want it (like my passport number or car registration numbers). At first, integration with browsers was a bit sketchy but no matter what I could always go to Dashlane and copy my username/password and paste it into a browser. It’s always there, on all my devices (Mac, PC, iPad, iPHones) and has never let me down. I’ve helped over a dozen folks get started with Dashlane and its been simply life changing for those still keeping their data on cheat sheets. Of late, the improvements seems to be coming along regularly. Most recently with iOS 12, integration with FaceID has been a game changer! Now it all just works without me even entering my Master Password on the keyboard. I also see VPN has been added for the Premium subscriber as well. 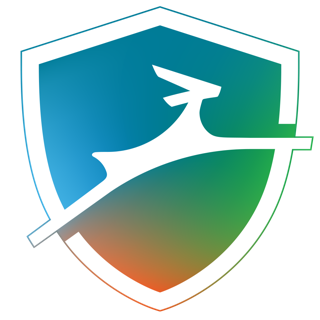 So hats off to the Dashlane team for a great product that sees regular updates at a very reasonable price!!! 5 stars for sure!! !